TOKYO, March 29, 2016 - Canon Inc. announced today that the Company’s interchangeable-lens digital cameras (digital SLR and compact-system cameras) have maintained the No. 1 share of the global market for 13 consecutive years from 2003 to 2015. Canon, which develops the key components featured in its interchangeable-lens cameras - the CMOS image sensors, image processors and interchangeable lenses - employs these cutting-edge technologies across its entire product lineup, from entry-level models to professional-use flagship cameras. Through its robust product lineup that effectively responds to the needs of a wide range of users, Canon has continuously secured the top global share within the industry. In 2003, the dawn of digital SLR cameras, Canon introduced its breakthrough EOS Kiss Digital (EOS Digital Rebel or EOS 300D Digital in other regions). This groundbreaking camera, which was competitively priced and featured a compact, lightweight design, captured the top share of the global market and set the stage for growth in the digital SLR market. Since that time, Canon has continued to launch a range of epoch-making products, including the professional-model EOS-1D series and the EOS 5D series which, equipped with a 35 mm full-frame sensor, paved the way for digital SLR video recording. During 2015, Canon introduced an impressive lineup of new interchangeable-lens camera products that supported the Company’s achievement of a 13th consecutive year at the top of the global market. In June, the Company released the EOS 5Ds and 5Ds R digital SLR cameras, which realize the world’s highest pixel count with approximately 50.6-megapixel resolution; while in April the EOS 8000D (EOS Rebel T6s or EOS 760D) and EOS Kiss X8i (EOS Rebel T6i or EOS 750D) digital SLR cameras were released. Also, in March, Canon launched the EOS M3 compact-system camera. 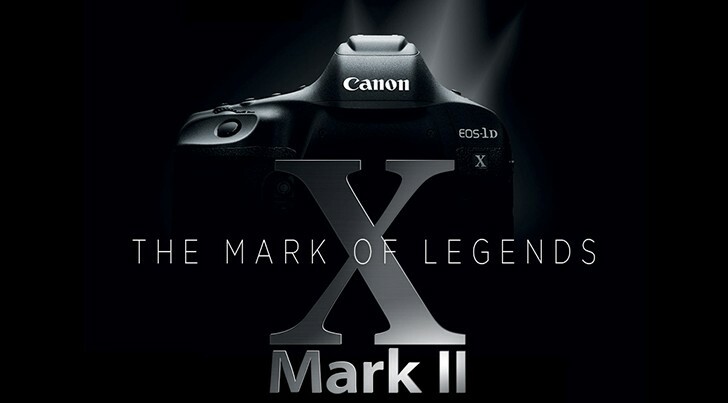 Additionally, further bolstering Canon’s product lineup designed to meet the specific needs of a diverse user base, the Company announced in February this year the introduction of the EOS-1D X Mark II, capable of high-speed 14 frame-per-second continuous shooting, and the EOS 80D, which combines full-fledged still image-capture performance with exceptional movie-shooting operability. Also, the extensive EF lens-series lineup, production of which surpassed the 110 million unit mark in June 2015, currently comprises a total of 98 models and represents one of Canon’s biggest strengths, supporting the EOS series by enabling a wide array of shooting possibilities and rich expressive capabilities.